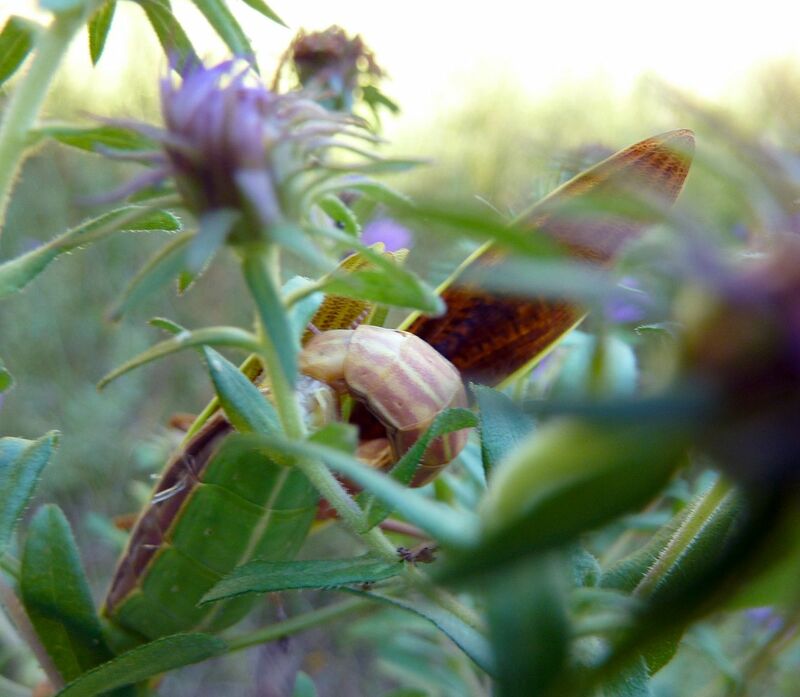 Two Chinese Mantises, Tenodera sinensis, mating on a New England Aster. I actually like both of these pictures. The one on the right for the inclusion of the blue flowers, and the one on the left for the golden meadow background and better stance of the male. Yes the brown one is the male in this case. At least I'm assuming that's the case here. I took these while at the Mt. Cuba Center on Saturday. 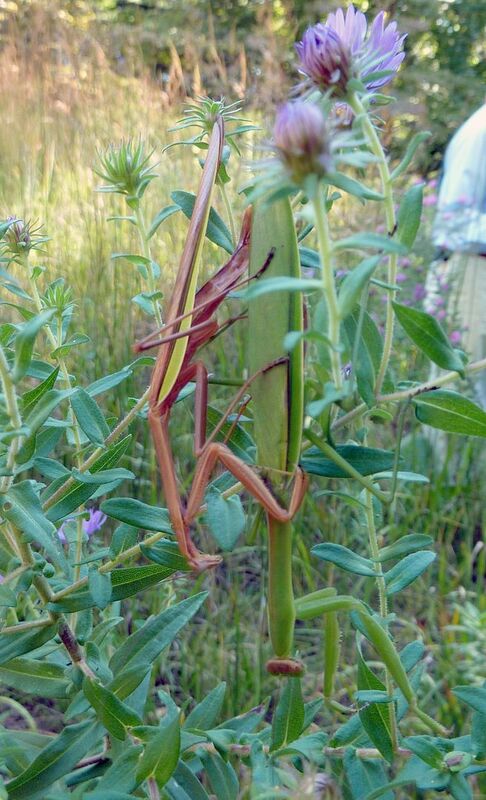 Around this time of year mating and laying eggs is just about all mantises are doing. 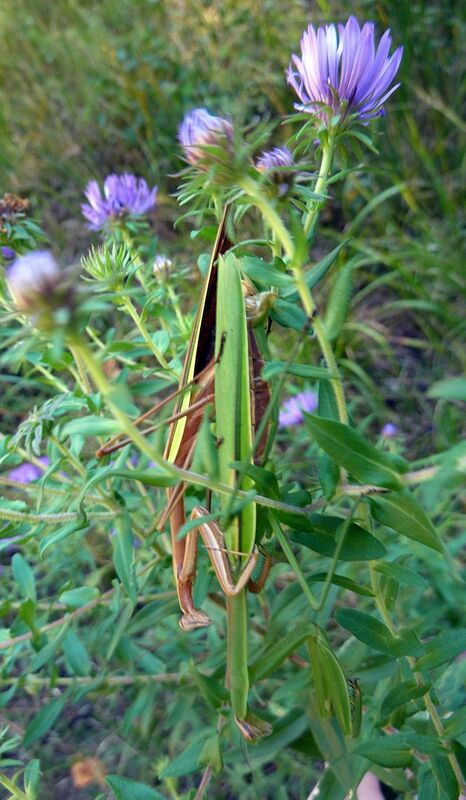 Eggs are laid on tall grasses or plant stems in sunny spots, often along a forest edge. And maybe a higher concentration next to late flowering perennials who's pollinator activity sustained the female during her last few days.